Château de Chenonceau, « Château des Dames » ? The Château de Chenonceau, near the small village of Chenonceaux, in the Indre-et-Loire département of the Loire Valley in France, is called « Château des Dames ». Built in 1513 by Katherine Briçonnet, Henry II offered the château as a gift to his mistress, Diane de Poitiers. 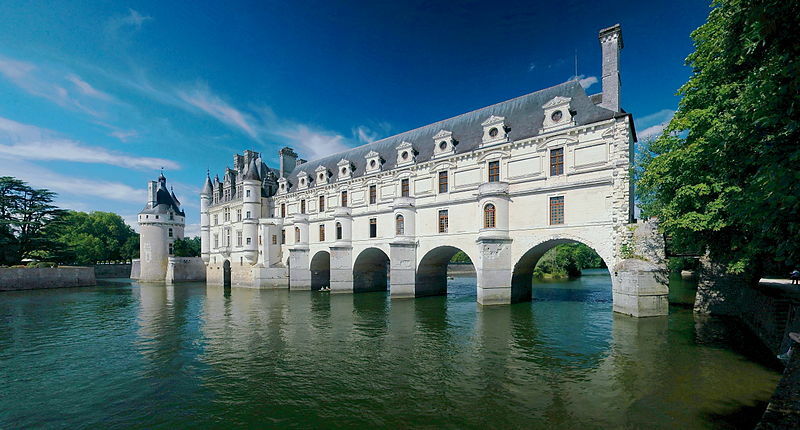 After King Henry II died in 1559, Queen Catherine de Medicis forced Diane to exchange it for the Château Chaumont, then she made Chenonceau her own favorite residence. Another “Dame”, Louise Dupin, saved the château from destruction during the French Revolution. In 1913, the Menier family, famous for their chocolates, bought the château and still own it to this day, Laure Menier is the curator and the last lady of Chenonceau Castle. Budget hotel near Tisch Family Zoological Gardens (Biblical Zoo) , Israel ?